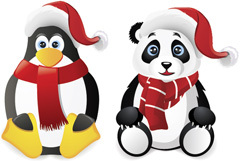 Home > Google News > Google Updates > Chatter: Google Penguin or Panda Refresh Happening? Chatter: Google Penguin or Panda Refresh Happening? The forums and SEO community has been buzzing all weekend about major shifts in the Google search rankings. Some are 100% positive it is the final roll out of Panda 4.1 while others are saying Google is rolling out Penguin 3.0. I am honestly not sure if it is either. There are people who are saying their Panda sites have recovered over the weekend and there are people who said they are 100% sure it is a Penguin update. For one thing, Google has currently not confirmed any algorithm update with me over the weekend. I'll try to get something on record. I think it's just finishing. This weekend I might have been hit. It's been a very bad weekend. Friday night I was hit again; I do not know if it's Panda or another algo. Pretty sure they are at least testing penguin right now. Seeing some big movements. If it's rolling out, then I guess it's no lube again. Another downward plunge. The comments in both my Penguin posts are pretty on fire with people saying Panda or Penguin is refreshing now also. Again, I do not have confirmation on Google about any algorithm update yet but I can tell you the comments and forums are pretty wild right now. This normally means Google is or has launched something. Forum discussion at WebmasterWorld - Panda and WebmasterWorld - Penguin. Update: Google's John Mueller told me in a hangout this morning that Penguin was not launched yet. Update #2: Google told me Panda 4.1 is still rolling out.